Many patients worry that they will not be able to make it 4 years on Hemodialysis or Peritoneal Dialysis Treatments. With the Kidney Transplant Waiting List increasing in wait times, unless you have a Living Kidney Donor then the average time on Dialysis Transplant List is 5 to 7 years - with many patients waiting much longer. Well, Dialysis patients like Michael Wilson - a 40-year Dialysis patient - reminds us that longevity is possible on Dialysis. Many patients worry that they will not be able to make it 4 years on Hemodialysis or Peritoneal Dialysis Treatments. With the Kidney Transplant Waiting List increasing in wait times, unless you have a Living Kidney Donor then the average time on Dialysis Transplant List is 5 to 7 years - with many patients waiting much longer. Well, Dialysis patients like Michael Wilson - 40-years on Dialysis Treatments - reminds us that longevity is possible on Dialysis. Michael Wilson suffered Kidney Complications when he was only 12-years-old and was put on Dialysis shortly thereafter. Now, 40-years later, Mr. Wilson is one of a handful of known patients that have been able to live on Dialysis for 40-years or more. His story offers hope for the over 600,000 Dialysis patients conducting Treatment that they can lead a long and full life. Dialysis has not only extended Wilson’s life, but also allowed him to be able to take advantage of some of the things he might not have been able to do otherwise, including art and driving his dream car — a 2012 Ford Mustang Shelby GT500. It appears that Mr. Wilson has transitioned to Home Hemodialysis and has a full schedule where he wakes up at 4:45 a.m., goes to work, comes home, does his dialysis treatment and goes to bed. He said he follows through with it all so that he can have the same life his peers do, with a few exceptions. “That is what I work hardest to do - to have a good quality of life,” Wilson said. Still, Dialysis comes with its challenges like limiting travel, painful treatments, and making it more difficult to complete some daily activities that you may desire. Sharon Cooper, the Home Dialysis nurse manager at DCI, started her career in 1976 working in a hospital setting, where she had her first interactions with Wilson. In recent years, she has been actively engaged in his care. She describes Wilson as someone who makes the most out of the cards he has been dealt and said that he is persistent in driving his care, according to the Albany Herald. “The drive, and persistence to care for himself is why he has made it 40 years,” Ms. Cooper said. Recommended Reading: How Energy Drinks Affect Chronic Kidney Disease Patients' Bodies, & Should They Continue Using Them? Ultimately, the longer a person can stay off Dialysis, the better off they will be. Hence, be sure to join KidneyBuzz CONNECT if you are attempting to avoid Dialysis Treatments, best you can (click here). 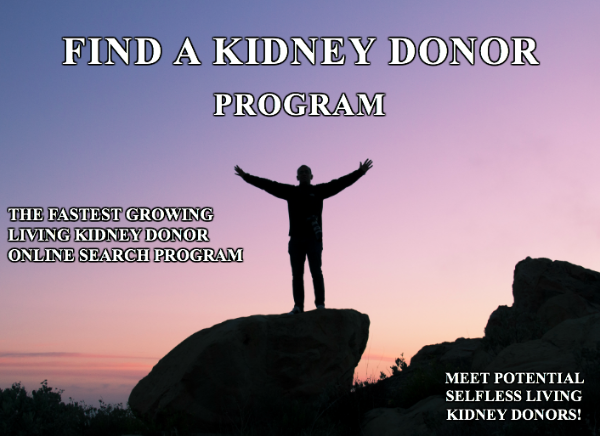 Also, since the waiting list is so long (some people often wait years, even decades on Dialysis for a call) be sure to begin outreaching and letting others know about your need with the Find A Kidney Donor Program (click here). 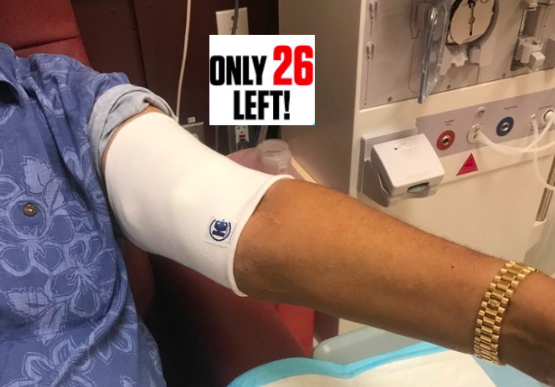 Finally, take even more of a lead roll in your care, like Mr. Michael Wilson, with the Dialysis Patients' Rights Book (click here). How long have you been on Dialysis? How have you been successful? If you have not yet started, do you think you could maintain the treatment for 40 years? Share your experience and insights with the over 80,000 Friends who have liked KidneyBuzz.com on Facebook (click here). Also, follow the over 250,000+ monthly individual viewers who visit KidneyBuzz.com regularly for the latest daily news and information which teach those with Chronic Kidney Disease, Dialysis, Kidney Transplant, Diabetes, and Hypertension how to better manage and improve their lives. Erica Ashley Jenkins (Dialysis Nurse) said, "Hello I just wanted to let you know I work in a dialysis clinic and over half of our clinic reads this page, we enjoy everything you put on and love to have new information. My patients are very grateful."